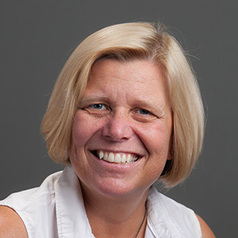 Marie Helweg-Larsen, a native of Denmark, is a professor of psychology at Dickinson College. Her research is in the areas of social psychology, health psychology and cross-cultural psychology – specifically why smart people do dumb things and how to make them stop. Most recently, she has examined cross-culturally how moralized beliefs about smoking affect risk perceptions and willingness to quit smoking. In her current NIH-funded research, she is examining the effects of stigmatization on smokers’ willingness to quit smoking. Since 2002, she has been awarded grants from the National Institutes of Health and National Cancer Institute; the Andrew W. Mellon Foundation; and the Pennsylvania Department of Health. In 2016, she was presented with the Distinguished Teaching Award by her faculty peers at Dickinson College.